. Apartment manager training can cover a very large set of responsibilities for building maintenance which can include all outdoor facilities, indoor common areas and tenants units. Depending on the size of the building, this work may be split between several people. Or one person may be responsible for everything. Some training courses will be generalized. They will cover all aspects while others will focus on specific functions. Then there is also lots of on the job training as well that covers the companies processes and customer needs. Whatever you do, always use common sense when making decisions about managing an apartment. If you do not know, ask someone for advice. There are lots to learn and you really never want to stop learning. Outdoor apartment management training would include setting contracts for all landscaping activities. Monitoring these activities and verifying the quality of the work. This would also include garbage removal and disposal. Snow clearing if applicable and keeping the entrance area and parking areas clean and free of any debris. The apartment manager may also complete some of the on site repairs. In addition perform some of the regular maintenance activities. Indoor apartment management training also must cover the heating systems. Arranging for elevator maintenance. Cleaning of all common areas and any painting or repairs that must be arranged for. The apartment manager may do some of this work themselves. Or they may be responsible to hire contractors to do the work. This would be on the behalf of the building owners following applied guidelines. 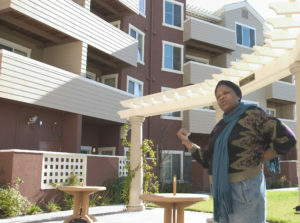 Tenant units are tricky in the sense that no one but the tenant can enter the tenants unit. Unless arrangements are made ahead of time with appropriate permissions. Repairs and upgrades must be booked with both the tenant and the contractor who is scheduled to do the work. All processes of this type must follow appropriate local bylaws. As well as federal and local state or provincial laws. Another area that is often neglected is the interface and reporting to the owner or owners of the property. Depending on how involved the owners are with their property. This can take a great deal of time to provide status updates. Also reports and discuss issues the owners may be concerned about. Most property management companies provide monthly cash flow reports. Also tenant occupancy reports to the owners. They may also provide a brief status report to the owners. They will keep them informed regarding issues the owners are concerned about. Attending board meetings and annual meetings are another area that property managers must do. Their duties at meetings such as these is to provide budgets, based on input from the directors. Provide updates on current cash flow and alignment with the current year budget. Also rovide updates on various situations that are of interest to the owners and the board. Property managers will assess various improvements. In addition request quotes and report back to the board with recommendations. Property managers must keep minutes and issue them to the board or the owners in general. This is an entire different area of skills that are required. Including everything from public speaking, preparing reports, budgeting, requesting quotes and dealing with complex situations. In some situations there will be conflict between the board and the other owners about various policies. 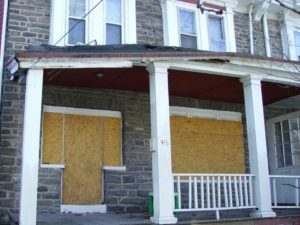 It is usually up to the board to set the policy and the property manager to implement the policy. If something is unclear, you may want to refer the issue back to the board for clarification. Skills in dealing with conflict may also be required when owners or the board are at odds with each other. Develop skills on the job. Obtain training in public speaking. 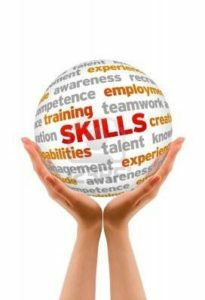 These skills will add many benefits to the current job as well as all future job opportunities. For more building management information, click here. Building management training covers a lot of subjects that superintendents and rental managers need to know while on the job. Property managers must learn all of the theory as well as the practical side of doing the job. These courses cover everything from looking after garbage disposal to dealing with tenants. Especially those who do not look after their units and skip town without paying the rent. There are processes to use in these situations and laws that apply. Often these laws are local in nature by state or province. In addition property management will vary greatly depending on whether the building is a residential building. Or whether it is a commercial building. Security, heating, parking etc to name a few will be significantly different for these types of buildings. Property management also involves the management of contracts for work that is completed by outside contractors. Grounds maintenance, snow removal, heating plant annual checks and so on will need to be monitored and checked for quality work. Rental management is part of a building management. Advertising for tenants, qualifying tenants based on income and records from other locations, with or without pets and children and a host of other criteria that come into play without breaking any prejudicial laws is complex. Bad decisions cost money for the tenants as well as the owners and must be carefully considered. Most jurisdictions will not allow for discrimination in any manner at all, so property rental managers must be well aware of the laws in this regard. There must be money in the budget to handle both known maintenance items as well as emergency repairs. Each plan will depend very much on the type of building, whether it has elevators or not, underground parking, exercise rooms, pools, etc. Every building is unique and while many activities will be the same, many will also be different. Building managers must also carry liability insurance . They require coverage in case there are situations that develop leaving them liable for claims by tenants. Or the owners if they are under contract to the owners. 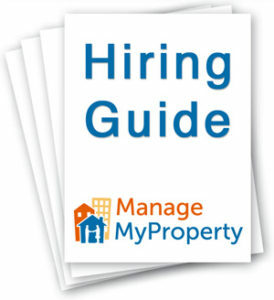 Many owners will hire a property management company to manage a building on their behalf. Hence the reason to make sure that the property manager has adequate liability insurance. Building construction is also different depending on whether you are dealing with a high-rise condo, townhouses or single family homes. The technology is different as well. Another aspect of building management which training should cover is security of the building. Malls are property management situations which need to have a security team in place. They must deal with everything from stealing to pick pocketing to loitering. Apartment buildings have much different requirements. Really expensive places will have a concierge who provides services to tenants. For example calling taxis as well as providing soft security for the building. Security is based on the area the building is in, the history of the building and the needs of the tenants. For more information about building management service and training, click here. Building management training courses are well worth the effort it takes to study and pass the courses. After all if you are going to be looking after a building that is worth hundreds of thousands or millions of dollars, and this is a huge responsibility. Many investors, tenants as well as guests and people working at the building depend on you doing your job properly, being able to deal with routine issues as well as any emergencies that may occur. This is an important job and requires a person who takes responsibility seriously and will keep their building looking it’s best. Training courses will cover everything from real estate services, to professional ethics to professional liability. There actually are so many items to cover that the course we reviewed was over 16 pages in length just for the table of contents. It is important for property managers to understand the different laws that apply to commercial buildings, to condominiums, to co-operatives and residential buildings. Owners have rights as do the tenants of the building. The local bylaws may also vary by town and city even in the same site. Often the property manager is caught between the owners and the tenants in many issues. They must be able to keep both parties satisfied. While staying within the local laws that protect tenants as well as owners. They have to strike the right balance and know the laws. Also when to push back to keep both sides working in a fair manner. They also must be able to manage the expenses and stay within the budget set by the owners of the building. In addition they must have the expertise to know how to deal with emergencies and manage the cost of repairs. There are also laws that deal with renters. How you need to manage situations involving rent increases, vacancies, renting units, expelling units and collections. As a property manager, particularly if you are managing a large building, there may be multiple people in your organization each managing an element of the overall job. There could be a rental manager for example. While another person looks after maintenance etc. Each will be an expert in their particular field. However someone must be able to cover for them while they are on vacation or away on training. Ultimately there is one person responsible for everything. This person must also ensure that all of the people in the organization receives the appropriate building management training to allow them to do their jobs properly and legally.Time management, people management, relationship management, are just some of the soft skills that property management teams must take into account in order to be successful. Leadership skills, communications skills and writing skills are also important. These skills help ensure that these managers not only know their subjects, but they can also communicate what they need to when reviewing a dispute for example. Property managers who have been on the job for some time can also benefit from training. These people have a great deal of experience and can be relied on to do a good job. However they need training updates from time to time on changing laws. Also technology changes and perhaps computer courses to adapt to new software programs. Most people will appreciate the value of keeping up to date. This training is well worth the effort and money it takes. On the job experience is also very important. You can learn from the experts and from managers who have been in the business for some time. Set up a weekly review meeting to go over issues, concerns you may have and to discuss general guidelines for your property. In creasing communication can only help you when you are responsible for large buildings. For more about building management training and services, click here. A property management system must have a many features that help the property manager. They help manage the rent of the units they are managing but many other activities around the property. They must keep track of all cash flows which include rent income and expenses. Include all work orders that are associated with the property for repairs. In addition any maintenance that needs to be completed. Some owners want a lot of detail. They review how costs are being managed. This is something that can be used by the property manager to differentiate your business from other competitors. They must have these reports and information available should the board call for the information. Or the board asks for an audit of all cash flows and expenses. Complete an audit every year. Assure owners that all cash flows are correct. An excellent property management system will allow you to meet your own property management needs. In addition as well as the owners of the buildings that you are managing. Reporting should be excellent as well. The manager can quickly tell how many units are rented at what rent level. Who is coming up for renewal. How much money is being spent on each unit? Flag units that are triggering a lot of unnecessary expenses. Sometimes there are a lot of incidental expenses which by themselves are not very expensive. But over a year can add up to more than expected. Reports also need to be available for the owner or investor of the building. The minimum requirement is accounting reports showing the total income and expenses by all categories. Also bottom line summaries. These reports should allow drill downs to individual units that may have higher numbers than what are the average for advertising or repairs as an example. While paper copies are helpful, with today’s systems, online reports that allow browsing of the results and drill downs into more detail should be available. Investors also want alerts for high expense, for rent renewal, for non-payment of rent etc. Track large numbers of items with property management software. This helps the senior management team manage large numbers of units and stay on track with various issues. Weekly reviews and monthly reviews of all of the top line numbers with exception analysis should be the norm. A good property management system can help a great deal to make this process smooth, while providing the answers at the same time. Property management software is becoming more and more complex all of the time. Property managers either must invest in training for their people to learn how to maintain and use these systems or they need to hire someone who knows your software inside out so they can deliver all of your needs. There is nothing more frustrating when the support people from the software company tell you that a feature or report is available, when your people should have been able to deliver these results from the beginning. Software systems can be expensive, but they can deliver significant results. Invest in appropriate training for your system and utilize the train the trainer approach to keep everyone up to speed on all of the features. Invest wisely and use your customers requirements as a means to select the best system for your needs.